One of our stopovers in Philadelphia was Retrospect Vintage, a hybrid thrift/vintage clothing shop at 508 South Street in Philadelphia. Retrospect looks and feels like a vintage clothing shop, but it's powered by Goodwill of Southern New Jersey & Pennsylvania. 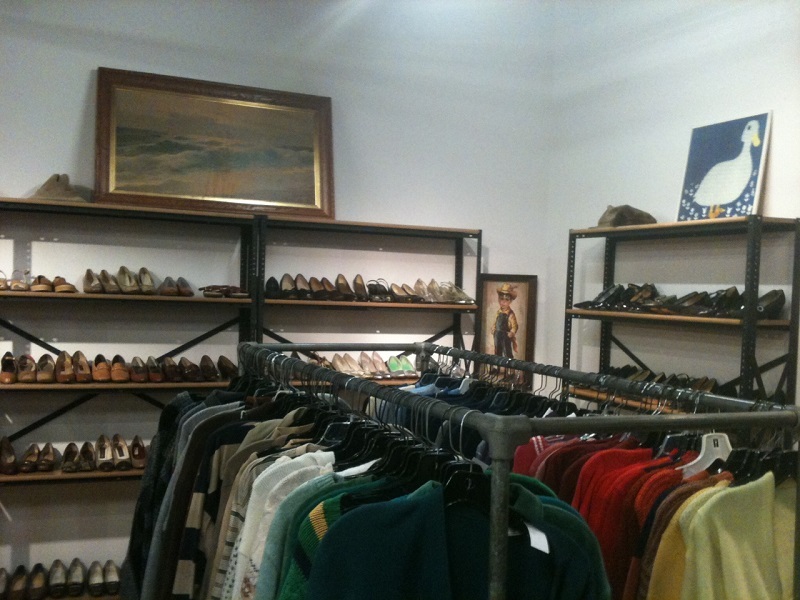 The shop is fairly large with 5000+ items, about one-third of them men's vintage clothes. 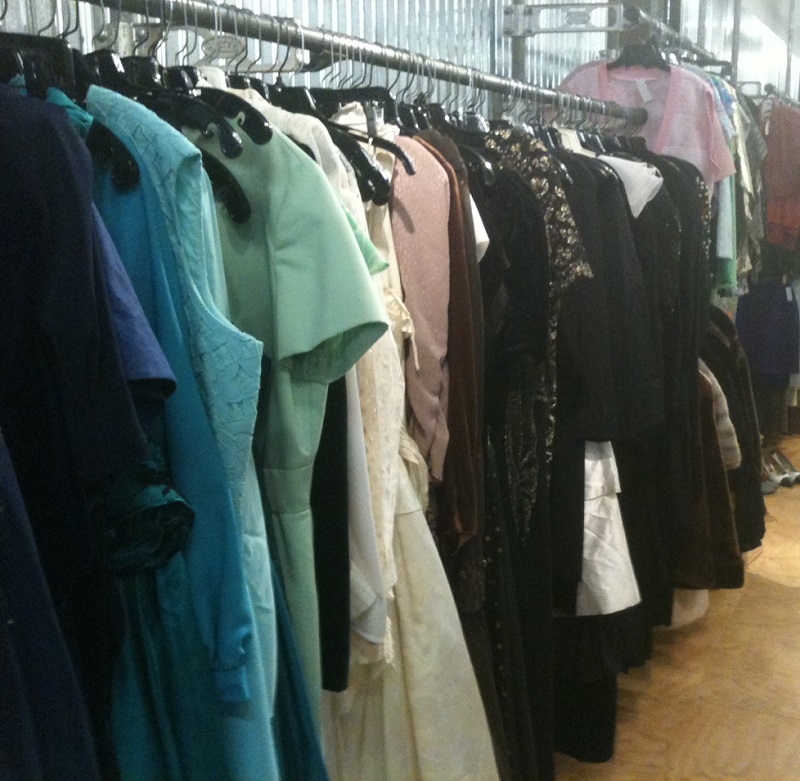 The prices are somewhere between secondhand and vintage retail, and the quality of the collection is a mix as well. 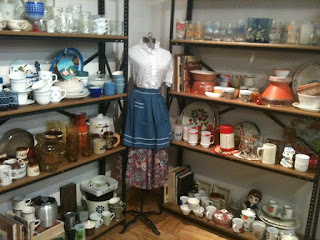 There are a few 1960s items mingling throughout, but most of the clothes are 1970s synthetics & later, with lots of 1990s floral-on-black prints. 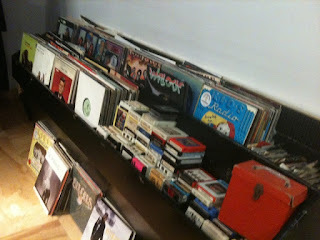 They also offer shoes, handbags, scarves, home décor, records and even 8-tracks. This is a fun stop for a beginning vintage clothing collector to dive into Goodwill's specially selected inventory, and an interesting hunt for a seasoned vintage fan to seek out specialty pieces. 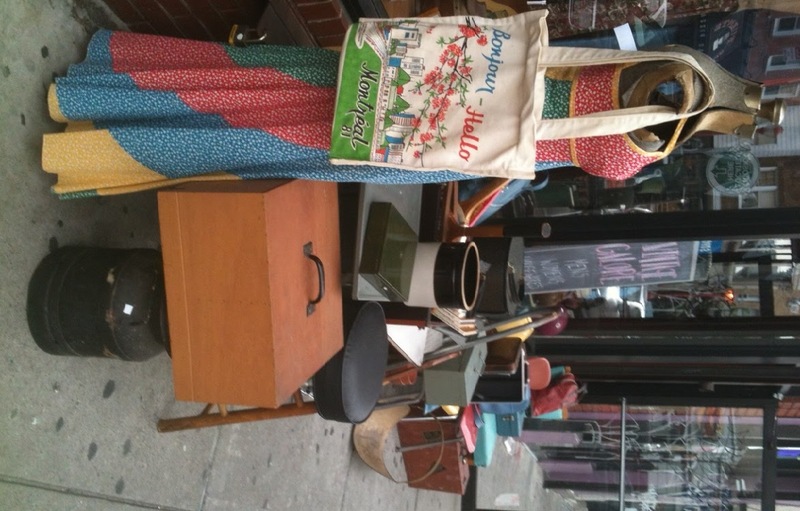 On the day of our visit, we ran across a jacket with a genuine leopard print collar for $34, a Lilly Pulitzer dress for $16 and a kitsch 1981 tourist tote for $12 (see below).